For more than 100 years, The Newark Group has been part of the development and growth of paper recycling in the United States. Pioneers in the company were experimenting with the recycling of old newspaper into paperboard in the 1890s and were issued a United States patent in 1893. The first paper mill owned by the company was founded in 1912 by these pioneers and still operates as Newark Boxboard in the Ironbound section of Newark. Today Newark Group has more than fifty operations in North America and Europe, providing a network of paper recovery facilities, paperboard mills, and paperboard converting plants. The company is recognized by paper industry analysts as one of the largest manufacturers of 100 percent-recycled paperboard. Paperboard is heavyweight paper that is sometimes referred to as cardboard. It makes up the largest class of paper products consumed in the United States. Paperboard made from 100 percent- recycled paperboard is everywhere-it is found in books, toys, game boards, loose-leaf binders, cereal cartons, rigid boxes, notebook backs, picture backs, mailing tubes, furniture, wallboard facing paper, and more. The Newark Group produces over 3,000 tons of 100 percent-recycled paperboard every day, and each ton must be competitive against other materials to provide economic benefits, or it won't be sold. Recycling at The Newark Group is not a passing environmental fancy, but an industrial enterprise that must make economic sense. Recycling has become an environmental buzz word, but as The Newark Group enters its second hundred years, paper recycling is finally getting recognition as a critical part of our nation's manufacturing base that also makes environmental sense. Paper recycling has great public support. People feel good about recycling because they feel a shared responsibility not to squander natural resources and they can participate in the process. The Newark Group is proud to provide a market for paper material collected in commercial and municipal programs throughout the United States. The company states, "We applaud the continued strength of the American public's recycling activities, which is the lifeblood of our business." Members of The Newark Group's management team have been active with local, state, and federal groups involved with the recycling industry and the environment. The growth strategy also has meant major investments in new facilities, technology, and products to satisfy the old and new markets. The fundamentals of paper recycling are old, but the speed and accuracy of today's converting equipment has created an entirely new set of standards for the simplest of paperboard products. Every process in the company has been improved or changed. The entire process is measured and controlled to assure the level of quality that has been mandated by the customers. The Newark Group's corporate office in Cranford, New Jersey, keeps close financial and planning control of the business units, but forces decisions down to the operating level whenever possible. The operating units have as much decision-making leeway as is practical. This structure gives The Newark Group the power of a large company with the entrepreneurial qualities of a smaller one. The Mill Group has ten domestic sites and three sites in Europe that operate paper machines around the clock, seven days a week, and produce more than 1.3 million tons of superior-quality 100 percent-recycled paperboard annually. Approximately 35 percent of this tonnage is consumed within The Newark Group's own converting plants and 65 percent is sold to independent paperboard converters worldwide. The primary product of BCI is laminated paperboard in a wide range of calipers, sheet sizes, and custom-cut-to-size panels. Newark Graphicboard Products serves the world's coverboard, loose leaf binder, puzzle, game, and associated markets. With U.S. converting plants in Newark, Chicago, Franklin (Ohio), Los Angeles, and Fitchburg, MA, and European operations located in Barcelona and Berlin, we cover the world with the largest variety of laminated products available today. With the invention of multi-ply laminating of completed book covers (two panels and a spine joined together in a continuous manufacturing process), The Newark Group began serving the book manufacturer market with this new "unitizing" capability. Initially known as Book Covers Incorporated, and later BCI, this business is now a part of Newark Graphicboard Products. The business boasts a number of innovative products. Newark also owns a number of product patents on our inventions. Developed the first purpose-built machine to make laminated hinged coverboard for books. Created more than twenty proprietary products and holds patents on several in the US and around the world. Newark Graphicboard Products is the majority supplier to all of the largest manufacturers in the book, loose leaf and game industries. 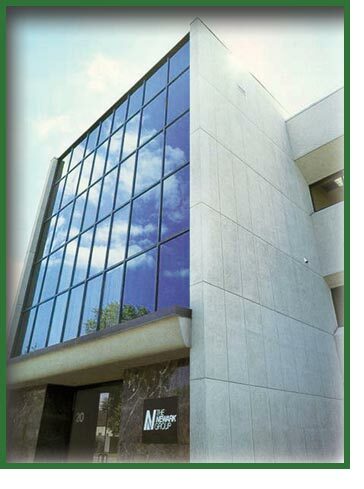 Newark is the only company that offers a complete board line from coverboard to foam padded board. Newark is the company that is most respected for product innovation, and is the industry leader in customer service. Newark is intimately involved in their customers' businesses, working to understand their needs and how our products can better serve them. Newark Paperboard Products is a nationwide supplier of tubes and cores for paper, film, fabric, and tape manufacturers. The division manufactures a full line of mill finishing supplies and offers a full spectrum of converting and finishing services. The Recycled Fibers division has grown into one of the largest collectors and suppliers of high-quality recovered paper. It not only supplies its own paperboard mills with raw material, but it also sells half of what is processed to independent mills. Processing facilities in every region of the nation collect, sort, grade, and pack more than 2.5 million tons of recovered paper annually. This accounts for more than 5 percent of all recovered paper collected for recycling each year in the United States.